Our fascia boards come in a choice of 3 different styles: Square, Bullnose & Ogee, as well as a comprehensive range of colours and finishes. BBA and BSI approved, our quality range of uPVC roofline soffits will never discolour and are very environmentally friendly. 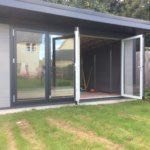 We offer 4 different styles of rainwater product; Square, Half Round, Ogee and Hi Cap designs, available in white, black and caramel. 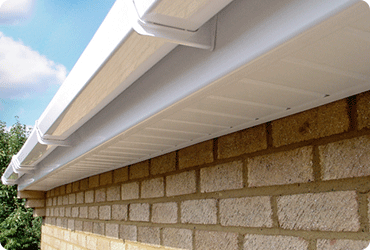 Our roofline products come in a comprehensive colour range of both standard and bespoke foiled options. 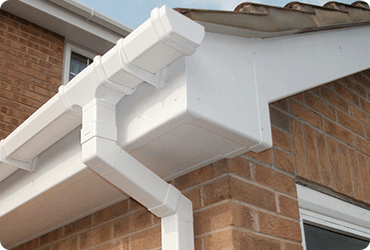 Designed to complement a multitude of properties, you are sure to find the perfect roofline package. We offer a 15 year guarantee on all white profile roofline products, giving you peace of mind for the protection of your home in the long run. All foiled profiles come with a 10 year guarantee as standard. 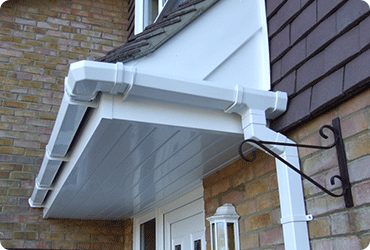 This means you can be sure your roofline will be protected for years to come. A 10 year guarantee on all rainwater profiles reinforces Carrington's trust in our products and services, meaning you won't have to worry about a thing.